Starting from the matrix of international export data is possible to extract information about the competitiveness of countries and the complexity of products. However, export data are often unreliable and the export matrix is subject to a number of mistakes. 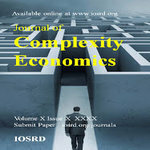 Different approaches have been proposed in order to measure economic complexity in the form of linear and nonlinear metrics. It is then crucial to study the sensitivity of these methods with respect to exogenous noise. We investigate the robustness for the countries rankings produced by different metrics through the introduction of a simple phenomenological model. We show the effect of noise in the different regions of the export network and propose an estimation of the level of noise in the dataset of countries exportations. Surprisingly enough, the nonlinear approach, which already proved to produce more grounded economical results, appears to be much more stable than other simpler linear methods when a significative amount of noise is added in the export data. We discuss goals, limitations and difficulties of the possible extension of this analysis to microfounded models.